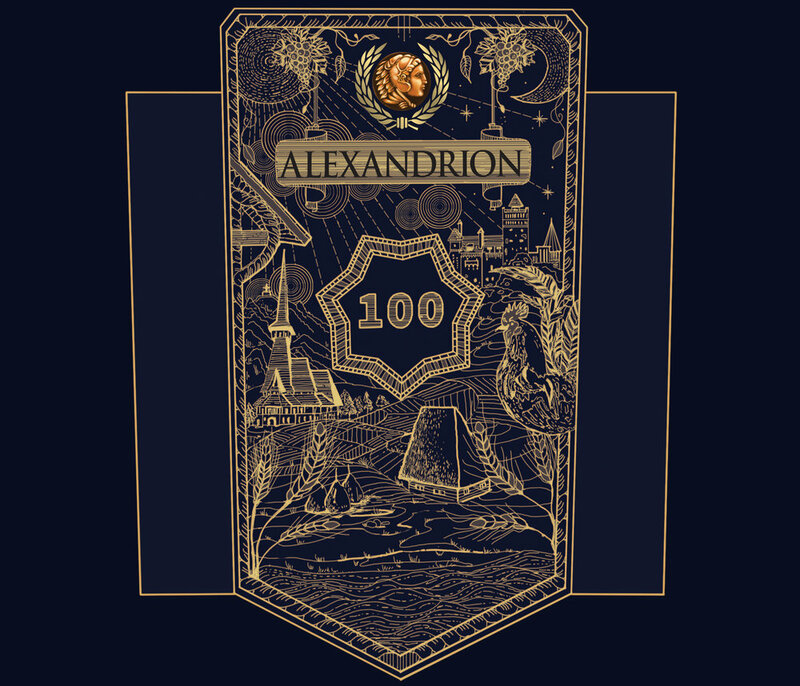 The proposed design uses detail and abundance when referring to the line-stroke while still keeping a simple bloc-color, specific to the Alexandrion brand. The general tone dictated by the design is elegant, semi-sober, masculine according to the texture but feminine when looking at the details. The overall design encapsulates a series of authentic Romanian elements. The traditional elements are found both in Romanian's natural landscape (the sea, agricultural fields and hills along with the mountains and forests) as well as the country’s national landmarks (wooden church, Bran castle, the traditional Romanian home). We wanted to map the essence of a Romania as it still remains, deeply rooted in the collective consciousness: with a preserved and cherished past, still pulsating in the present.